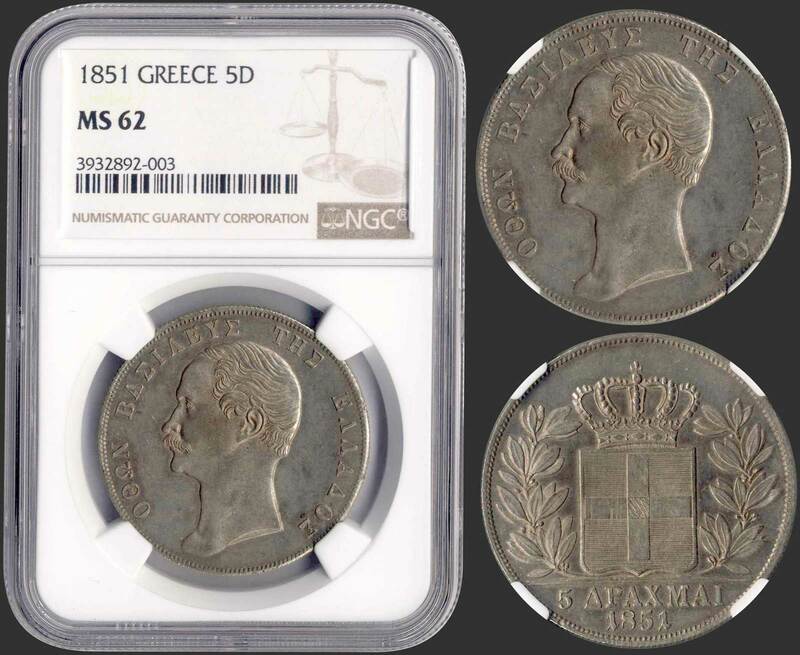 5 drx (1851) (type II) in silver with "ΟΘΩΝ ΒΑΣΙΛΕΥΣ ΤΗΣ ΕΛΛΑΔΟΣ". Inside slab by NGC "MS 62". (Hellas 116).